Since I was home this weekend, I took the opportunity to fish the Caney Fork for a couple of hours Sunday afternoon. I’m not going to give a lengthy report. 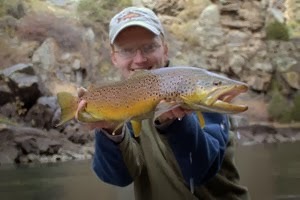 The important thing is that the river is fishing very well right now. Fish took a zebra midge with enough regularity that I didn’t have to change flies at all once I figured out the color combination they wanted. 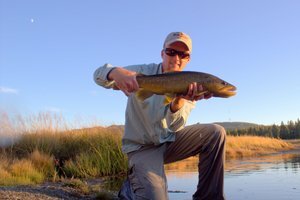 I stung 2-3 large fish that would have gone over 20 inches yet again but just couldn’t get a solid hookup with the really good ones. 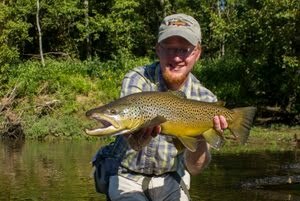 The fish of the day was a nice 17 inch brown that gave me a workout on the 3 weight. 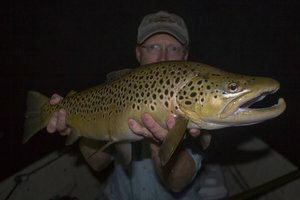 The river is in great shape with LOTS of quality fish right now. Some of the really good fish feed in shallow water and are easy to spot and stalk if you move quietly. 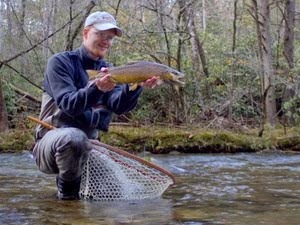 This week I’ll be fishing again in the evenings in the Smokies so check back for any exciting reports I may have… Also, next weekend is going to include some type of big trip. Either a backcountry overnight trip or a major day trip deep into the backcountry so I should find some good fishing to go along with the solitude I look forward to so much.